Wine Country home awaits your creative touches. 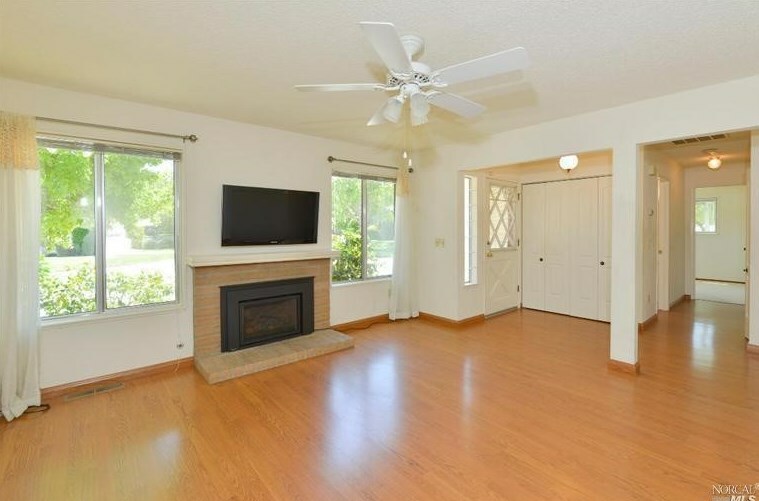 Located in the 55+ active planned community of Temelec, this 2 bed 2 bath home features a spacious kitchen and dining area with excellent indoor-outdoor flow, cozy gas fireplace with remote control in the sunny living room, bonus room off the kitchen, a private patio area, two car garage, and a low maintenance yard. Close to the historic community clubhouse, and minutes to the Sonoma Plaza. Kitchen: Dishwasher Incl., Electric Range Incl., Microwave Incl., Refrigerator Incl. Driving Directions: Arnold Drive to Almeria. Right onto Temelec Circle. 237 Temelec Circle, Sonoma, CA 95476 (MLS# 21419530) is a Single Family property that was sold at $377,500 on February 27, 2015. Want to learn more about 237 Temelec Circle? Do you have questions about finding other Single Family real estate for sale in Sonoma? You can browse all Sonoma real estate or contact a Coldwell Banker agent to request more information.